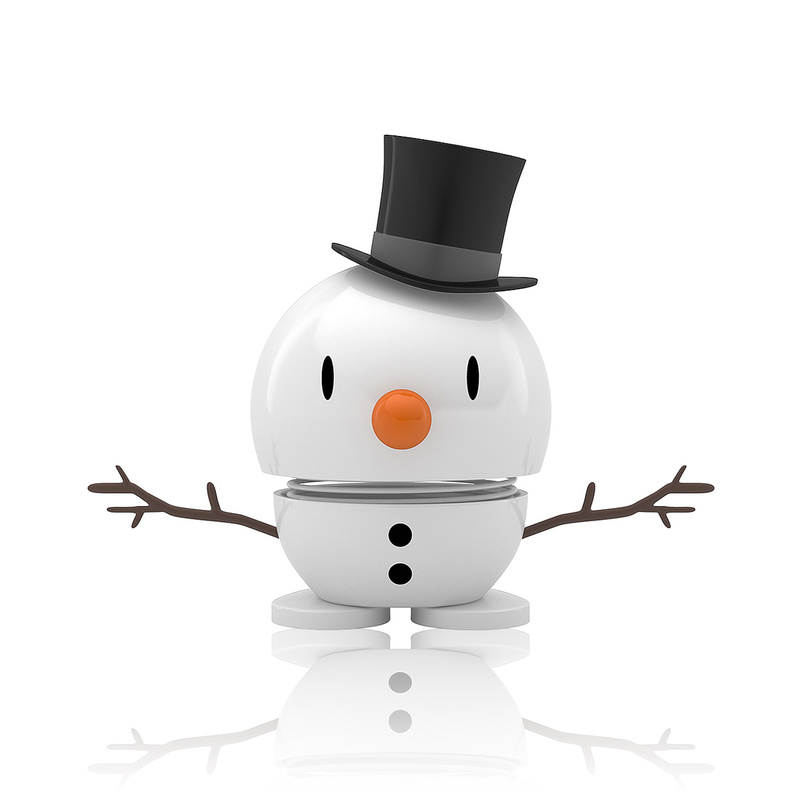 An adorable snowman with a springy head that will cheer your home up with holiday spirit. 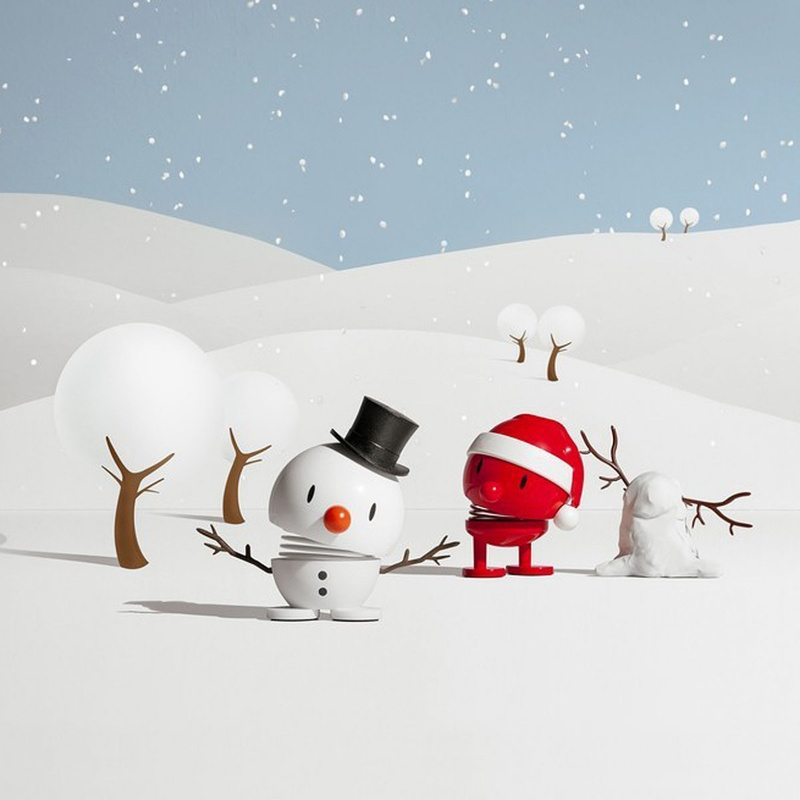 Famous Danish brand Hoptimist presents Baby Snowman: a cheerful and adorable figurine for holiday inspiration. The Danish brand, active since 1968, that gives life to designer Hans Gustav Ehrenreich's creativity, drew on holiday inspiration for this beautiful little snowman, from the snow to the lights that brighten up the city this time of year, to the joy that unleashes itself in everything, infesting both children and adults with cheer. The holiday spirit inspires our desire to spread the warmth of this much-anticipated season into every room of our house, placing decorations in every place that we see fit. 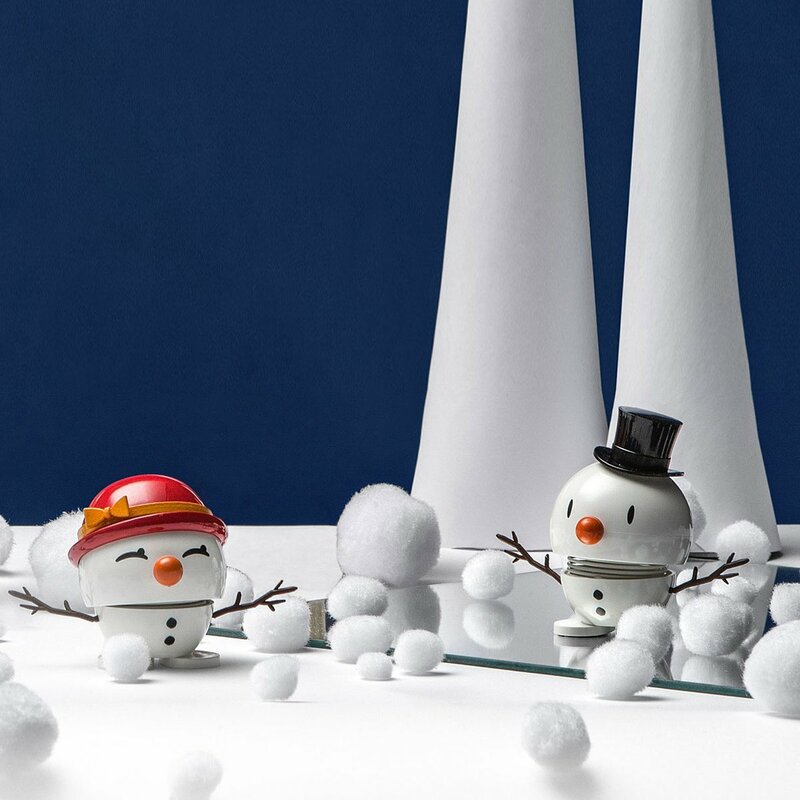 The Baby Snowman is a can't-miss addition for the home: a cute little snowman that will soften adult hearts and brighten a child's day. Baby Snowman is an all-white little gadget (it is a snowman after all!). The eye features are outlined by black line, as well as the "buttons" on the figurine's body. The nose is represented by an orange ball -drawing on the classic little snowman with a carrot for a nose. There are also two arms at the sides, made to resemble bare branches, reminding us of little snowmen we've made with our own hands, maybe alongside our kids. To further sweeten this great character, Hoptimist wants to add a touch of originality, throwing in a pretty cylindrical hat. The physical composition is decidedly rounded and consists of a head attached to the body by means of a charming spring, which makes the figurine "bouncy". Moving down to the lower part you'll find the feet, made by two rounded discs. The Baby Snowman radiates holiday spirit, so keep it in any room in your home you want to infuse with joy and good cheer.